“Elements of the intelligence community apparently told the administration within hours of the attack that militants connected with al Qaeda were involved, yet Ambassador Rice claims her comments five days later reflected the ‘best’ and ‘current’ assessment of the intelligence community. Either the Obama administration is misleading Congress and the American people, or it is blaming the entire failure on the intelligence community,” the senators said in a joint response to Rice’s letter today. I do not believe the intelligence community is the right target here. It is the Obama administration and their chumminess with the Muslim Brotherhood. I am going to ask the same question that Glenn Beck is asking… why? Why was Ambassador Stevens in the most dangerous part of Benghazi with no protection? Was he brokering arms deals with the rebels/terrorists? Was he working for the CIA? There was an alarming rise in al Qaeda activity before the murders and no one said a word. Why were ex-Navy SEALs killed trying to protect Stevens? (Those SEALs were there trying to recover weapons from al Qaeda.) I know they died bravely in the line of duty, running to the aid of Stevens – but where were those that should have protected Stevens? From what I understand, a private security detail was ordered – where was the military? Why did Obama claim that it was being investigated when it wasn’t? Over three weeks later, investigators are on their way. The entire scene is now compromised and they know it. Telling signs of violent assault and torture were in that compound – bloody hand prints on the walls, a toilet covered in blood. Did you know that CNN found Stevens’ journal on the ground in the compound days after the event? Why are important facts not being disseminated? For instance, did you know that our consulate there was bombed twice before Stevens was killed? Did you know that there had been 13 violent incidents, 5 serious, before the murders? Did you know that the British Red Cross pulled out because of the violence? Did you know that radicals had posted Stevens’ jogging route on Facebook before he was murdered? And why didn’t our government know? Why? Is this whole thing part of the Muslim Brotherhood agenda aided by Barack Obama and his administration? Did you know that the terrorists were upset before July when the YouTube clip originally aired and that is one of the reasons Obama was meeting with the Muslim Brotherhood and Morsi? Did you know they discussed releasing the Blind Sheikh? Why were repeated requests for security in Benghazi denied by the State department? Did you know a prime suspect in the murder of Ambassador Stevens and the others was a terrorist released from an Egyptian prison during the Arab Spring? Did you know that over 20 American embassies have been attacked since the incident? Now career officials in the Intelligence community are beginning to stand up and scream ‘cover-up’ at Obama and his goons, and rightly so. This is an epic scandal that the press has barely covered involving the exploding rise of terrorism in North Africa, opting instead for Obama fundraisers with celebrities and Lady Gaga escapades. The DC Pravda will do literally anything to take attention off the Middle East and the economy. Anything… and they think we are dumb enough to believe it. General Zateb Kazim: Don’t worry. It’s Africa. Nobody cares about Africa. It would appear that Iran has been very naughty indeed and has had their grubby, apocalyptic fingers in a number of Middle Eastern pies including Egypt and Libya, among numerous others. This has been going on for a long time by the way – even if we don’t think we are at war with Iran, they are at war with us. Do the math and you better include nukes and EMPs. 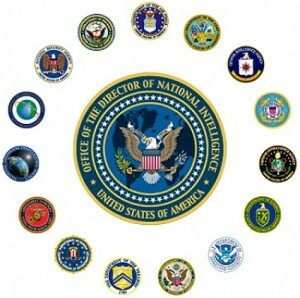 The Office of the Director of National Intelligence (ODNI) and U.N. Ambassador Susan Rice knowingly put out false information on the Benghazi murders blaming the whole incident on a crappy YouTube clip that had nothing to do with it. I believe she was instructed by her ‘higher ups’ to do so. Hillary Clinton has distanced herself from all of this after coming out and acknowledging that it was a preplanned terrorist attack by al Qaeda using the group Ansar al Sharia. Which by the way, a 3 year-old could have figured out since it was carried out on 9-11. 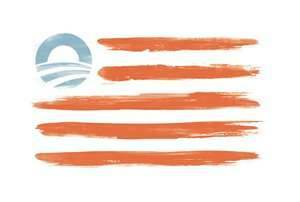 Obama has seriously overestimated the stupidity and apathy of Americans in his haughty elitism. He would do well to remember this is not France. We brought him into office and we can remove him from office and will do so in November. The subpoena compels Lt. Col. Wood to appear at a House Oversight Committee hearing next week that will examine security decisions leading up to the Sept. 11 Muslim extremist terror assault on the U.S. compound at Benghazi. U.S. Ambassador Christopher Stevens and three of his colleagues were killed in the attack. Lt. Col. Wood has told CBS News and congressional investigators that his 16-member team and a six-member State Department elite force called a Mobile Security Deployment team left Libya in August, just one month before the Benghazi assault. Wood says that’s despite the fact that US officials in Libya wanted security increased, not decreased. Intelligence and military officials are beginning to come forward and expose what is going on in the Obama administration. A deafening chorus of crickets can be widely heard from the media as they try to cover Obama’s arse in an election year. But I believe his arse has now grown too big for the oval chair, which explains why it spends so much time empty. While spooks in the machine speak up, Americans need to prepare for the biggest scandal we have ever experienced in an administration. It’s the Obama legacy.